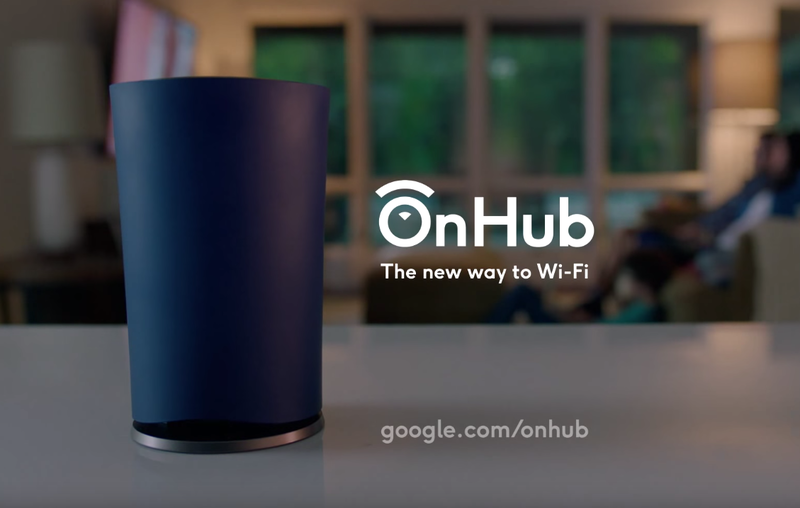 There has been many high profile product launches this month from the likes of Apple and Amazon, so you might have missed Google’s launch of their brand new Wi-Fi router called ‘OnHub’. Google claim this brand new router will solve the most commonly occurring network issues in the home and small workplaces. The router has a whole number of new features including 13 antennae and ‘smart software’ that allows OnHub to search for the best channel for the strongest connection when it is set up. The software runs in the background while the router is woking to continually adjust the channel. The OnHub is a clever little router as it also allows users to prioritise some devices to ensure that they have the fastest connection. The OnHub offers users a new and innovative way to manage their router through the Google On smartphone application, which allows users to monitor bandwidth, run network checks, offer solutions to router problems and share the router’s password easily via text or email. This state-of-the-art router is another device to add to Google’s ‘smart home’ range, with the company already promising continuous online updates and further OnHub devices from other hardware partners. The “easy router that cures bad Wi-Fi” (Mashable) has not launched in the UK yet, but expect it soon. 360ict provides managed IT services and support for SMEs in central London and the south-east, including Croydon and Bromley. For more advice on gaining competitive advantage as a mid-sized company, give us a call on 0208 663 4000 or head to our website. A revolutionary top and bit is fixed for the future times. The range of the term and assignment help online is inquired for the humans. The measurement is one of the major terms for the people and all items for the humans. On hub router fixes bad wifi thing. really a good news I was shocked when first I saw this post that the google is working on it and get info from here to get educational task. Later on I get to know that this was something else and the google is just realted to this post. Nothing else.